The pontoon at Baron's Quay in Northwich officially opened this week in an attempt to bring more business to the town, Alan Tilbury reports. 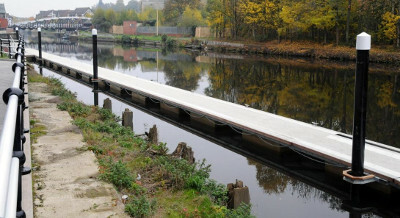 This 300ft pontoon will accommodate boats near the town centre and was installed at a cost of £175,000 involving Cheshire West and Chester Council. “Northwich has always turned its back over the years on its biggest asset—the river.